Twin thread silver zinc plated countersunk PZD screws in a portable carry case. Countersunk Pozi Screw Pack (780 Piece) is rated 4.6 out of 5 by 14. Rated 5 out of 5 by SRBP111 from The perfect selection A good selection, good price and in stock. Rated 5 out of 5 by Hilaryw from Great value Product exactly as described. 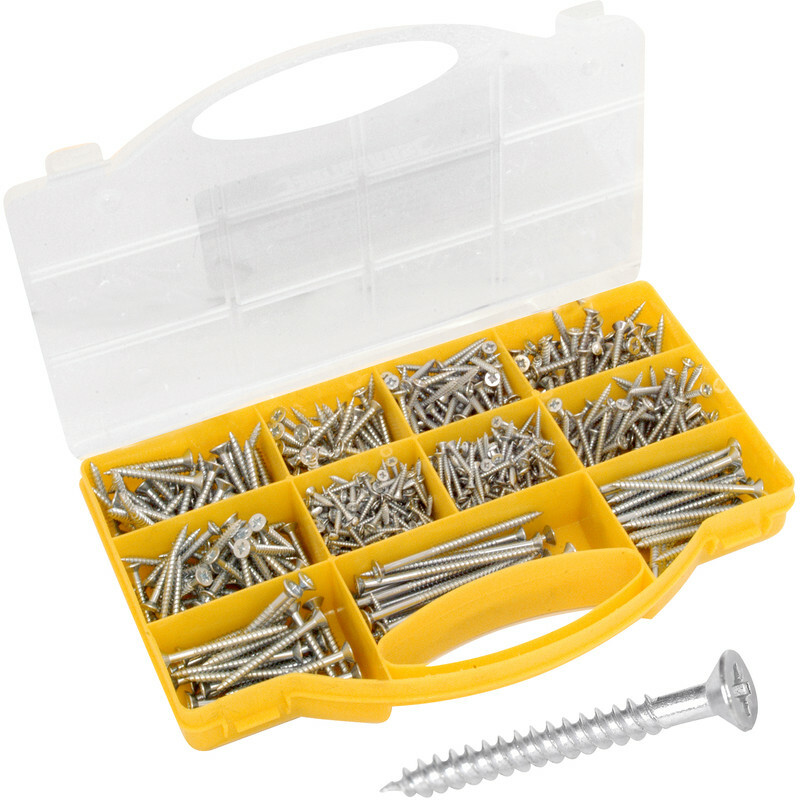 Rated 4 out of 5 by lessy from Good variety but poor box I like to have the different sizes .This boxed set was very good on the screws but the box didn't close properly as it was not of good quality. The boxes i bought before with the yellow lid were better. Rated 5 out of 5 by Cautious yorkshireman from Screw assortment All very handy commonly used sizes. Very useful.